Just a few weeks ago the big day for these two finally came. They were married at the picturesque Swan Point Yacht & Country Club in Issues, Maryland. It went almost perfectly and we’re hard at work processing the images, which makes now a great time to revisit the images from their engagement session held just a few weeks beforehand. We went to the rustic and secluded Beverly-Triton Beach in Edgewater. The couple wore more formal clothing which gave the session the impromptu feeling of having happened at the tail end of an afternoon-date in the park. Felipe came along as well, and we tag-teamed a bunch of the images. About halfway through the session we set up the outdoor lighting gear to capture a different impression of the setting, and really loved the results. We finally finished up, after about an hour and a half, on the stone jetty that sits at the north end of the beach, just as the sun was going down. 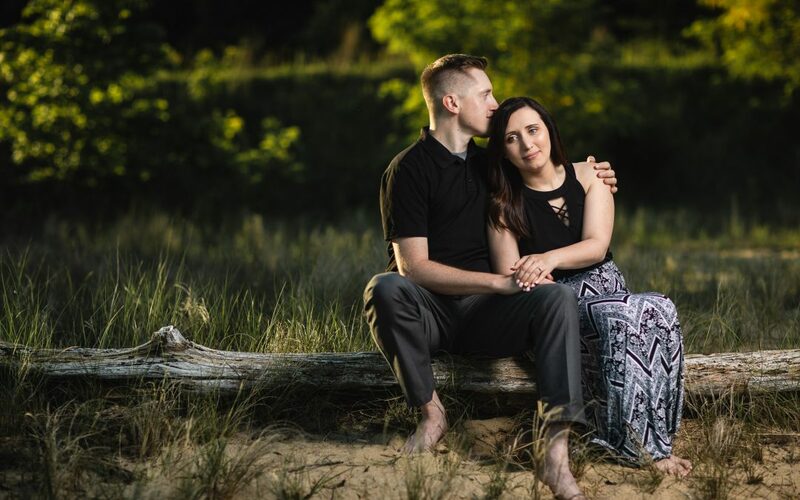 Check out some of our favorites from the session below, and if you’re interested in learning more about our services, check out the Engagement & Couple’s Portraits page here on our website! Absolutely beautiful pictures and couple.